Ouai to a très chic lifestyle? Ouai to #hairgoals? But also Ouai to no parabens and sulfates? And if you didn’t know what ‘ouai’ stood for but still said yes, you are still completely right! For ‘ouai’ is the very chic and Parisian way for saying YES! The brand ‘Ouai’ specialises in daily hair care products that are Sulfate-free and will refresh and (replenish your hair) improve the health of your hair. By infusing Smart Keratin into their formula, it will repair and give your hair that boost of strength it needs and most importantly, Ouai does not condone the use of animal testing! 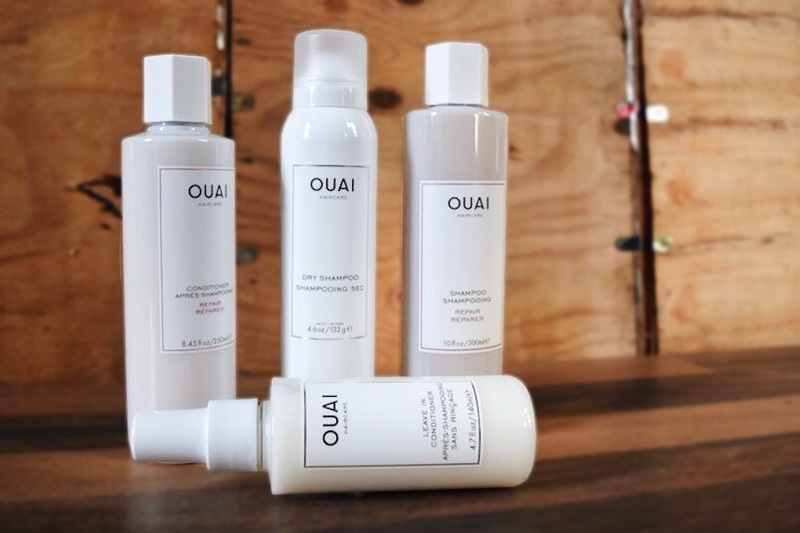 Ouai’s Daily Care collection have shampoos and conditioners ranging from: Volume, Clean, Curl, Repair and Smooth, and can be mixed and matched to cater to your hair care needs. With summer right around the corner and the summer sun blazing down on all our pretty heads, Ouai’s Repair Shampoo & Conditioner collection will surely be the much needed essential hair care product! Ouai’s Repair Shampoo is a cleanser which is gentle, that will nourish and replenish your hair if it is prone to breakage. With the infusion of their own Smart Technology Complex into the Repair formulas, it will fortify the lost strength and shine of your hair. And followed by Ouai’s Repair Conditioner with its mega-moisturising properties, also with their Smart Technology Complex, further nourishes the damaged strands for healthy looking hair without any added-weight! Because who needs more lifeless and damaged-looking locks in all the summer humidity. For all those days where a wash & go is simply not happening. With Ouai’s Dry Shampoo, it will not only add instant volume to your limp hair, but will also leave it feeling cleansed and refreshed. As it is also foam based, will not leave any evidence of a white-cast and instead give your hair the appearance of a freshly-washed shine and bounce! To give you hair that extra moisture it needs, the Leave-In Conditioner with a light spritz on your damp hair, will protect your locks from any thermal damages, tangles and frizz. And yes you guessed it, will leave your hair looking especially lush and healthily moisturised. And if it couldn’t get any better, the packaging is absolutely insta-worthy! You can check the rest of Ouai’s collection here to explore the brand’s extensive product range. Because OUAI you can! If the products listed above are really resonating with your hair, and is in much need of some luxurious repair and replenishing then find your way to Ouai! Other than their online store, Ouai products are available to be purchased at John Lewis, Selfridges and online at Asos!